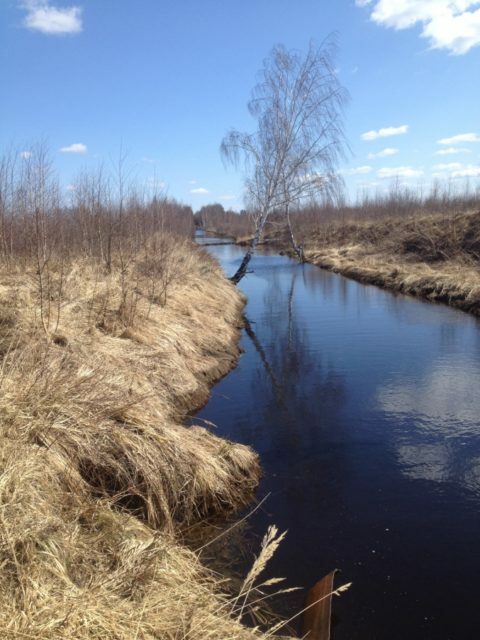 The Bolshoye Ursovo peatland is situated in the interface area between the Klyazma and Nerl river catchments in the Kameshkovo District of the Vladimir Province, 1–2 km east of the Mirny township, and 40 km northeast from the city of Vladimir. The watershed divides the peatland in to two parts: the western site and the eastern (Artyom) site. This peatland was used for peat production from the 1920s to the late 1990s. In the first half of the 20th century, peat was harvested using the excavating method. 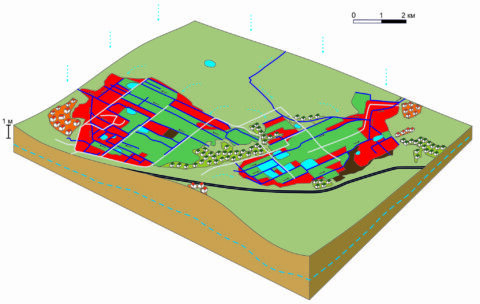 The area was transected with long peat pits that were soon filled with water, with their present mean depth being 1.0 to 1.5 m. In the 1960s, the milling method (removal of top layers of a peat deposit) was introduced. It left behind expansive milling fields where flat patches 20–30 m wide and up to 500 m long (fields) alternated with field drains. As a result, nearly the whole peatland area was engaged in peat production. Presently, the land is classified as agricultural. 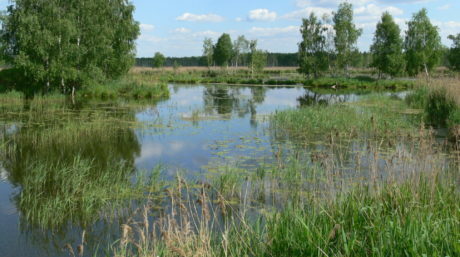 This peatland was included in the list of areas with high fire risks identified as priorities for ecological rewetting by the Administration of the Vladimir Province. 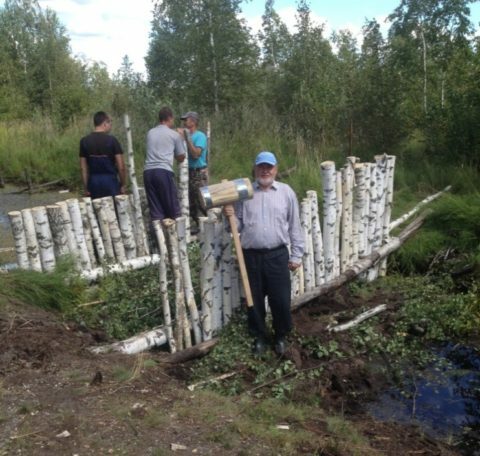 Rewetting designs for the 1,867 western site and the 1,603 ha eastern site were developed by the “NORSTEN” Scientific and Technical Center in 2017, with funding from the ‘Restoring Peatlands in Russia’ Project. 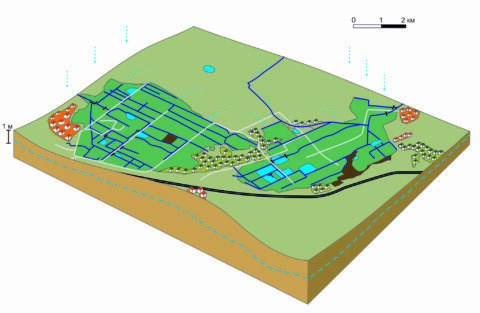 The designed rewetting activities were implemented by the earthwork company of IGMATEX Ltd. in July–August 2018, with funding from the International Investment Bank. The rewetting of two sites totaling 3,470 ha involved the installation of 12 dams, with three earth dams (one blind and two flow-around dams) constructed on the main channels, five dams on the secondary channels, and four, on the tertiary channels. Nine dams were built using a HITACHI excavator. In the most inaccessible places, dams were constructed manually. To ensure that adjacent garden plots would not be flooded in any circumstances, lower overflow dams were constructed in the central part of western site. It is expected that a time period needed for the whole area to be properly rewetted will comprise two to three years. 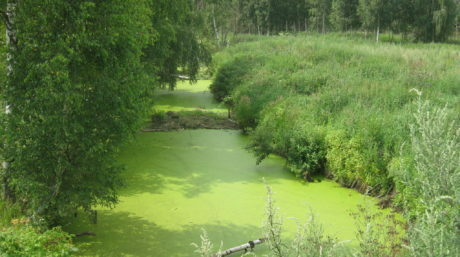 The initial restoration of mire ecosystem will occur in three to ten years. 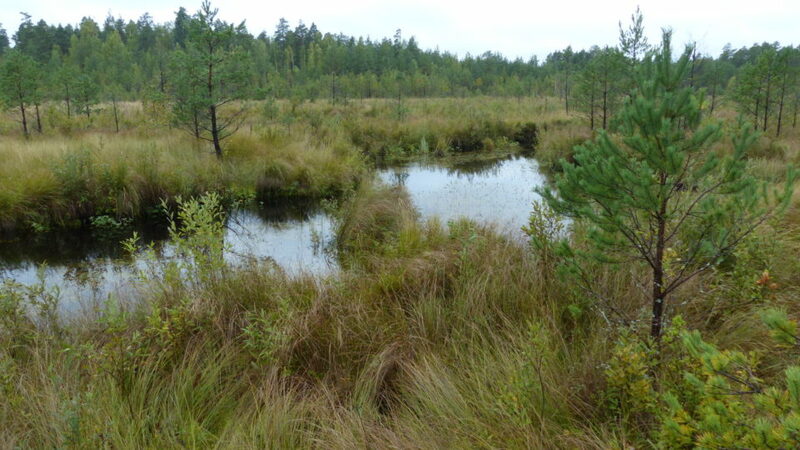 In 15 to 20 years, the peatland will perform natural functions typical for mire ecosystems, such as water regulation, gas balance regulation, and water purification. 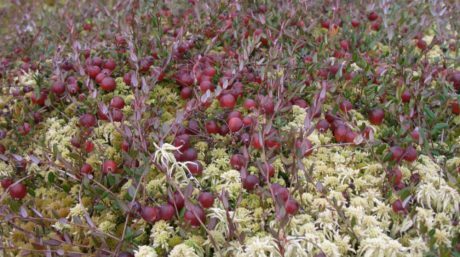 By that time, original or near-original vegetation communities will form, the peat formation process will resume, and characteristic peatland biodiversity will restore. 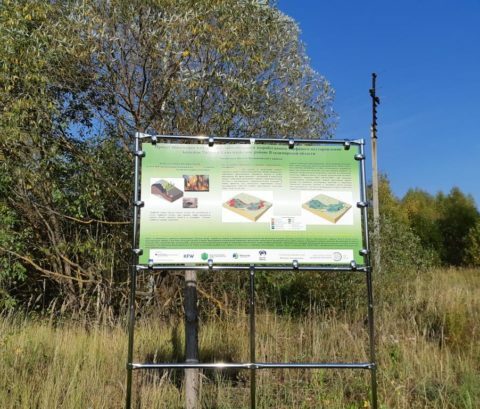 The Project team greatly appreciates the assistance and support provided by the Kameshkovo District Administration and local community during the whole period of project implementation.